Following on the heels of The Avengers' success this summer, Warner Brothers has commissioned a script for Justice League--and while Man of Steel is coming right up, and there are scripts in development for Wonder Woman, Aquaman and The Flash, it seems likely as they begin the process of courting directors that Warner is interested in doing Justice League first, and then spinning off solo films for characters that viewers get to know as a result. It's an approach that's not totally without merit; after all, while audiences got to know Iron Man, Thor and Captain America first through their solo films, the Incredible Hulk's movies are pretty much ancient history by this point and there was little connection between the way the character was depicted in The Incredible Hulk and The Avengers--not even the same actor. That character went on to become a fan favorite and now there's talk of giving him a movie or TV series of his own. So clearly, the way Warner is looking at doing it can be done. If you're going to ape Marvel's success, though, it seems as though it might be a better approach to more closely approximate the style in which they came to that success--in this case, by building to the team film with a series of solo movies before committing completely to The Avengers. That still doesn't mean you can't have a Justice League movie sooner than later--if you could get your act together start making these things on a pace approaching what Marvel is doing, you could have a Justice League movie on schedule and still get at least one or two films out ahead of it (particularly if one of them was a Green Lantern sequel, where a lot of the design and pre-production work is done for you). Assuming Warner were to do that, what DC characters could they tap for those couple of movies? Well, we've got way more ideas than they've got time to make movies, so let's get on with the list. We'll note up front, though, that for our purposes, Aquaman doesn't appear on the list. It's not that we don't believe the character can carry a film, it's just that to most non-comics readers, he feels as one-note as Hulk. And, like Hulk, it seems that he's best-suited by being a major part of a team film, and has people rooting for him before they try to give him a solo film to support on his own. Green Lantern, likewise, is missing from this list (along with Superman) for the simple reason that he's already had a film that can be incorporated into Justice League if they're so inclined. I'm rooting for giving another Lantern (either John Stewart, Guy Gardner or Kyle Rayner would work for different reasons) a chance to shine, along with a throwaway line that the last guy "didn't work out," giving the audience a one-line handwave of the Reynolds failure not entirely unlike Punisher's "Tried it, didn't like it" explanation for his year as God's assassin. This one is kind of a cheat, but it would be nice to see Arrow segue into the DC movieverse. 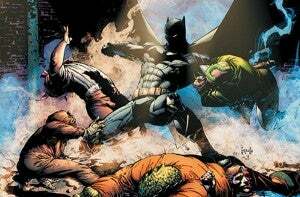 In the same way Marvel is aggressively developing at least one and probably two TV properties (Hulk and whatever it is that Whedon is involved in) that will tie directly the big-screen Marvel Universe, Arrow coming out around the same time as Man of Steel is Warner's first opportunity to actually beat Marvel to the punch on something and establish that, yes, all of the Warner-owned DC movies and all of the Warner-owned DC television properties are going to be taking place in the same world. 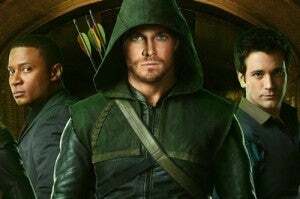 The only downside is that it might somewhat undermine the message previously out there that nobody has powers in the world of Arrow, but that came from star Stephen Amell and not one of the writers anyway, so there's nothing to say they can't remain spiritually true to that by simply not using Superman and Firestorm, while still hinting in some way that Arrow and Man of Steel take place in the same world. It also builds in whatever rogues Arrow establishes in the early going (so far, we know of Deadshot and Deathstroke, in addition to China White) as up-for-grabs in the DC movie universe. And that ain't bad either. It's been about thirty years since anybody liked a Superman movie, so let's face reality: Batman is an essential element of this film that the writers and director need to get right. He's also a complex character, and one that isn't self-evidently suited to appearing in a movie with a bunch of spandex-clad gods and monsters. Even though it's going to be incredibly hard to reinvent the wheel on this character so soon after the Nolan films are over, it's frankly necessary, if you're going to include him at all, to give him his own film to establish a status quo first. Otherwise there will be, at a minimum, brand confusion with the Nolan version. The exception to this rule? If he's kept as an ace in the hole and we only ever seen him in action, or maybe even don't see him onscreen but Superman calls out to his man on the ground for emergency assistance. Making Batman a genuine surprise who would come through in the clutch would be a risky move--you wouldn't be able to have him on the posters--but it's one of those things that could take your good superhero movie and suddenly make it great in the eyes of the viewers. It might be an option worth exploring, and it would render the need for an immediate Batman reboot rather moot. It's time. Wonder Woman is arguably the best-known character in the American superhero canon who has never had a feature film made based on her, and it would be a black eye for Warner Brothers and DC if Marvel were to beat them to the first major female-led superhero film by spinning off Black Widow, a character who had zero public awareness prior to the last five years or so. For that reason alone, Diana ought to be headed to theaters sooner than later. It's likely Warner still owns the rights to the abandoned Joss Whedon Wonder Woman script--and while you obviously can't make a movie based on a ten-year-old, rejected script without making changes, it couldn't hurt any to give that a look and see if there's anything in there that's salvageable enough that you could tag "from the writer of The Avengers" on your teaser trailers. Even if you can't, the script is the thing. She's a difficult character for a lot of writers to wrap their heads around, and so the biggest thing is to figure out where you want her to be at the start of Justice League and focus on writing a story that gets her there. 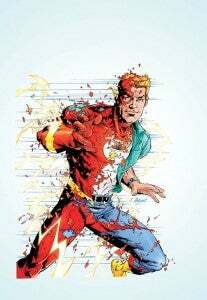 Another character whose story has been in development for as long as anybody can remember, The Flash needs to be given a chance to show off what he can do besides "running real fast" so that the ways he uses his powers don't seem to come out of the blue in Justice League--and don't need to be explained very much, either. But more than that, the character deserves a movie for being the guy who's done the most with the least in terms of his powers and backstory in DC's history. If there's ever been a character who can spin straw into gold, it's been The Flash, who has managed to take a power set that is, on the face of it, even more pathetic than Aquaman's and turning it into a compelling story packed with cool visuals that it would be hard to argue onscreen. He's also a character that's got a great supporting cast, meaning that supporting a movie all his own shouldn't be a problem and it could, Tony Stark-style, drive a film as much by the non-superhero personality as anything we see on camera. That's a rarity for DC characters, whose most appealing aspects tend to come when the costume is on, and something that could distringuish the character from the rest of the DC (and even most Marvel) movies and make him a fan favorite going into League. 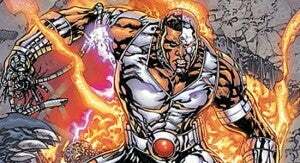 A character who's playing a big role in the current, New 52 version of Justice League by Geoff Johns and Jim Lee, he's probably important to establish as a player in the DC Universe. Let's be honest: Johns and Lee's first Justice League arc was written with the idea in mind that it could be a movie. There's no other way that pacing makes any kind of sense. But the awkward way Cyborg is crow-barred into the thing not only burns page count (which is expensive in the movies) but also only really made sense to readers because most of the people picking up that title had some background with the character and could take the Cliff's Notes version of his origin they were given and work with it. Moviegoers, coming fresh to a character that maybe, if filmmakers are lucky, they kinda remember from an animated TV show they saw once, will need a little more than that, and Cyborg is a fascinating character who could easily make a compelling story onscreen. Is it essential to building a Justice League movie? No, but showcasing a little bit of the width and breadth of the DC Universe and giving viewers something they most decidedly have not seen before can't hurt. 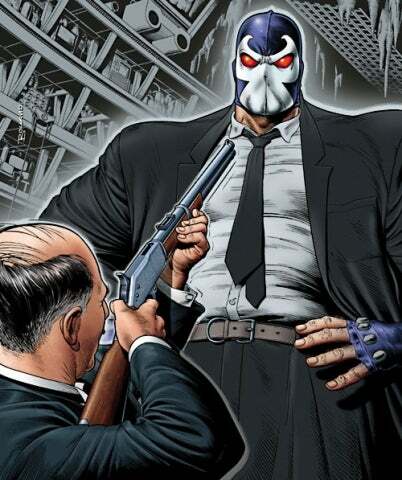 A movie that centers around a group of non-powered or marginally-powered villains could set the stage for the DEO or Checkmate to become involved in a Justice League movie and, at a minimum, you've got a great point-of-view character in Bane. Even if they choose not to use the same take on the character as Nolan did, the fact that he's just recently appeared in a massively successful movie should make the character relatable to the average viewer who's never heard of the franchise. Pictured at right: Not a cover for Secret Six (I don't think), but one of the most hilarious images ever printed with a straight face in a mainstream comic book. The pitch for Kate Spencer's character could be that she's a lot like Catwoman or Black Widow--she's essentially a female Batman. Except that she's way more relatable than the average millionaire burglar or super-spy, because she's just a single mom who's disappointed in the system and frustrated by her job. She's also got connections--through the various pieces of hardware she picks up in the evidence locker to make into her costume--to a number of other DC characters and so it could be a great repository for Easter eggs--something to let the fans know, "Yeah, that person exists. We'll get to them eventually." A character whose star is on the rise outside of comics but who can't seem to catch on with the readers who make it to their local shops every Wednesday, it can't hurt to see whether--for the first time since the forties--they could use a different medium to elevate Blue Beetle to the A list and make it a valuable commodity for Warner Brothers. Jaime Reyes also has a complex origin that would be difficult to explain away in a few seconds in the course of another film--so unless they wanted to eschew Darkseid to make The Reach into the film's central antagonist, it's likely a good idea to get him established before dropping him into a team film. In addition to Blue Beetle, Shazam is a property that's had a long and successful history outside of comics but which hasn't really found a niche in the comics business in quite a while. 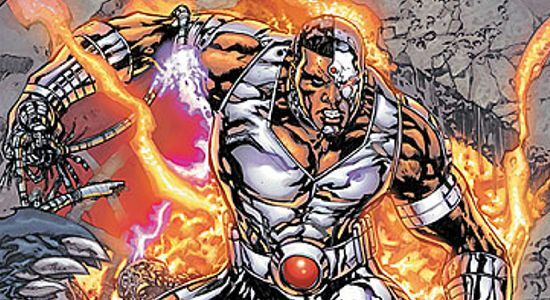 Warner has long toyed with the idea of bringing him to the screen, and at one point was starting to assemble a cast for the film, but why not actually do it? The whole movie could be worthwhile for the great cinematography you'd get out of the transformation alone. Another one of those wacky properties we'd love to see developed just to see where the company would go with it and how it could expand and enrich the DC Universe. As a time traveler, he could be anywhere and incorporate all kinds of characters who simply wouldn't fit into the model of an Avengers-style DC Universe, from Warlord (who lives in the modern day but in a world where time stands still) to Kamandi and Anthro. He's also got the Booster Gold connection, which is good becuase I can't remember a time travel movie that ever really worked without tongue in cheek--and if they took our advice on Arrow, the upcoming Booster Gold show on Syfy could tie into this film!